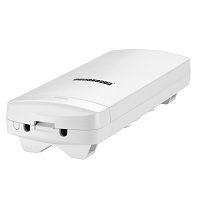 The ECWO5320 is outdoor 802.11a/b/g/n/ac dual-band, dual-radio AP with TDMA technology & 2x2 MIMO antenna configuration. Through its Gigabit Ethernet port, the 802.11ac dual-band wireless AP can connect to the backbone network. The ECWO5320 supports passive PoE, which provide cost effective and enable the AP to be powered by power adapter or injector.